At first glance, the tiny conference room tucked away in a back corner of the L.A. Convention Center’s West Hall seemed like any other: cramped, with white walls and gray carpeting, under the unrelenting glow of fluorescent lighting. Then I slipped the Oculus Rift virtual reality headset over my eyes, and the four walls disappeared. Turning my head in one direction revealed mountains buffered by fierce snow flurries. Slowly panning my head in the other direction brought rivers of lava into view—and a hulking, demonic monster sitting on a rock throne in a dark cave. Dramatic? Sure, but it’s more than just poetic license. Oculus Rift utterly engulfs you in PC-generated virtual worlds, making you feel like you’re truly inhabiting digital domains—and the newly improved version I went eyes-on with at E3 2013 is already demonstrably better than the developer version we tried out at CES back in January. While the developer kit of the Oculus Rift maxes out at 720p resolution, the headset that Oculus VR CEO Brendan Iribe handed me at E3 rocked a full 1080p HD resolution. The company had never demonstrated a 1080p headset before Tuesday. 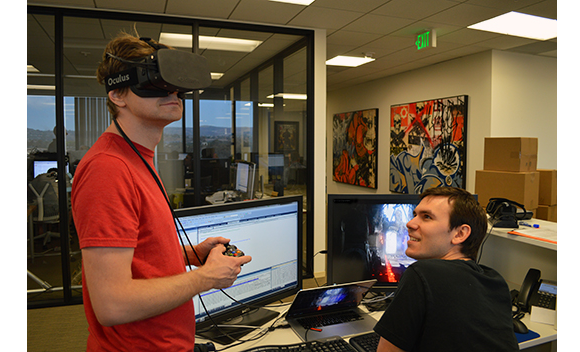 Members of the Oculus VR team trying out the 1080p Rift prototype. Although the consumer prototype still packs the same gyrometer, accelerometer, and magnetometer found in the developer kit—it’s this trio that gives the Oculus Rift its 360-degree immersion, after all—it felt lighter in the hand than the developer version. Iribe confirmed that it was, though he wouldn’t get into weight specifics. “The Oculus Rift just continues to get better,” was all he would say. 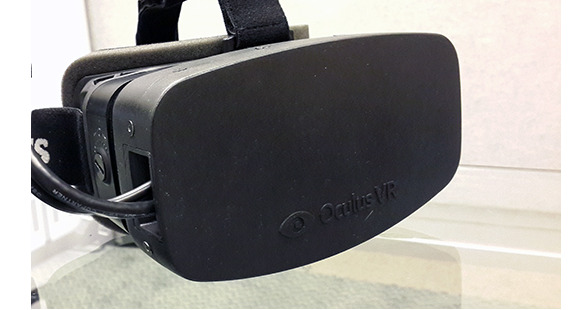 A comparison of Oculus Rift at 720p (left) and 1080p (right). The difference is evident here, but much more pronounced in action. And indeed it does. Iribe also had a 720p dev kit on hand, and he had me try both that and the 1080p consumer prototype back-to-back. While the dev kit’s experience was smooth and enjoyable, its visuals have a slight effect akin to “looking through a screen door,” as Iribe aptly put it. The 1080p consumer prototype didn’t have that effect, and its imagery just plain looked more crisp and vibrant all around. Colors were brighter. Details looked more, well, detailed. All in all, the consumer prototype is a huge improvement over the developer kit. Oculus VR had another nifty trick up its sleeve aside from the big resolution reveal. The team was demonstrating a fully playable version of Epic’s Elemental Demo, running at a silky-smooth 60 frames per second, to highlight the recent Oculus Rift software support baked into Unreal Engine 4—a vote of confidence that opens up a whole universe of gaming possibilities for the Rift. Tuesday's Elemental demo almost didn’t happen, however. “This demo wouldn’t be playable today without Epic,” Iribe said. Oculus co-founder Andrew Reisse, who was tragically killed when a car fleeing the police struck him in a crosswalk, was a key member in porting the Elemental Demo to the Oculus Rift. His sudden loss left a gaping void in the process—the Elemental demo was basically a trailer, whereas the Rift version is a fully navigable world. 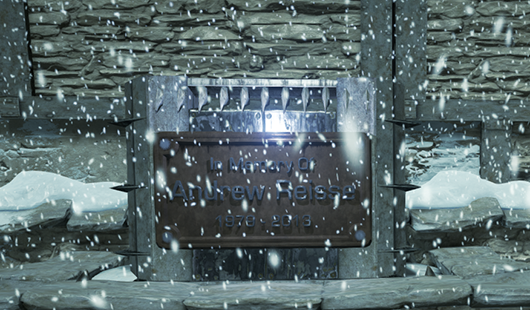 Epic stepped up to the plate, and it even included a memorial plaque to Reisse in Elemental. Unreal Engine 4 integration is indeed an epic win for Oculus (get it? ), but it was a second demo that opened my eyes to new Oculus Rift possibilities I hadn’t even considered before today. After repeatedly shooting magic fireballs into the crotch of the Elemental Demo’s demonic watcher, Iribe booted up another demonstration. I slipped the consumer prototype of the Oculus Rift over my eyes, and suddenly I was in a movie theater (specifically, the VR Cinema3D app developed by Joo-Hyung Ahn in the Unity engine). Rows of red-backed seats were arrayed ahead and to the side of me. Mere moments after I was dropped into this virtual cinema, a preview for The Hangover Part III sprang to life on the movie screen at the front of the theater. This may look simple on your screen, but it blows your mind when it's YOUR ENTIRE WORLD. Holy crap, it was as if you were there. After watching Zach Galifianakis sing a high-pitched song of sorrow for 30 or so seconds, my eyes started picking out minute details. Flickering light prompted me to physically turn my head around, bringing a flashing projector into focus. 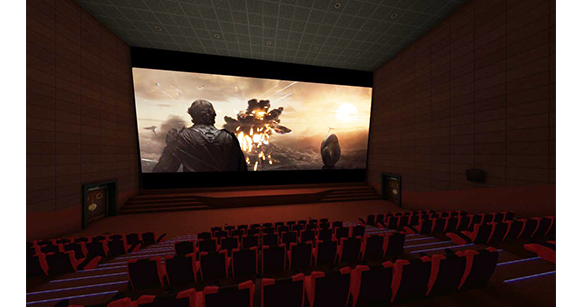 Eventually a bright scene illumintated the virtual movie screen, which caused the black void overhead to brighten and reveal a tiled roof that wasn’t visible during darker moments. It was seriously, seriously immersive, and seriously, seriously impressive. Oculus VR is doing all it can to encourage that creativity: More than 10,000 dev kits have shipped out, Iribe says, with many more still on back order. More than 13,000 developers from all walks of software have registered and commented on the Oculus forums. The company is striving to keep the cost of the kit low—the dev kit costs $300 and is easily reparable—and plans to stick to popular hardware connections and software engines to make development as seamless as possible. Iribe also says Oculus VR has been wary of offers for additional funding, as the team doesn’t want investors or another company possibly corrupting the Oculus Rift vision before the first commercial version becomes available. That passion seems infectious. Beyond the Oculus Rift support baked into the popular Unity and Unreal 4 gaming engines, Valve’s aging blockbusters Half-Life 2 and Team Fortress 2 can be played with the HD VR headset. EA has mused about adding VR capabilities to its Frostbite engine. Four indie games here at E3 were built for the Rift. The popular MMO Hawken rocks Rift support, and the Oculus Wikipedia page is chock full of titles destined to work with the Rift. And who knows what kind of nongaming applications await in the future? Not I. Nor do I know the Oculus Rift’s final commercial price or release date—two other details Iribe declined to elaborate upon. But I do know one thing: After trying the Oculus Rift for the very first time on Tuesday, I’m definitely buying a headset whenever it becomes available. Once you’ve seen the Oculus Rift’s digital worlds with your own eyes, you have to buy into its vision.